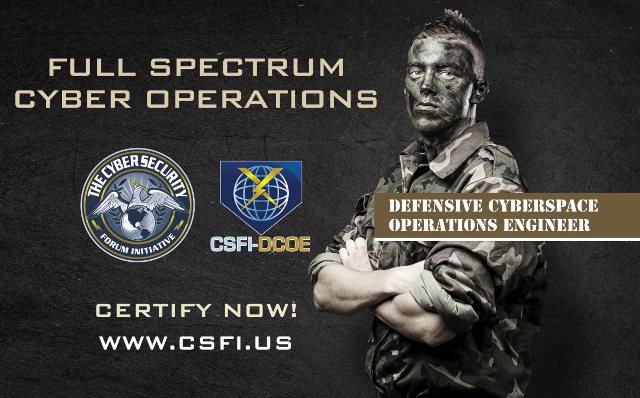 US Marines get CSFI-DCOE Certified. Semper Fi! CSFI would also like to recognize our NATO student from the Romanian Navy who participated in this training with the USMC. The number of cyber-attacks on DoD and Government networks estimated at 400 million annually—continues to increase at an alarming pace as adversaries, both homegrown and foreign, acquire increasingly sophisticated tools with which to attempt to penetrate our systems. The combined DHS/DOD cyber budget proposals for 2012 exceed $4.2 billion with DHS nearly $1 billion and DoD requesting over $3 billion. The President has also identified cyber security as a critical imperative for national security. Increasing dependence upon the internet, declining IT budgets, and new computing paradigms (cloud, open source, etc.) have exacerbated cyber security problems. This exceptional conference brought together the senior level military, government and industry experts who are defining the requirements and shaping the solutions in cyber security and computer network defense. 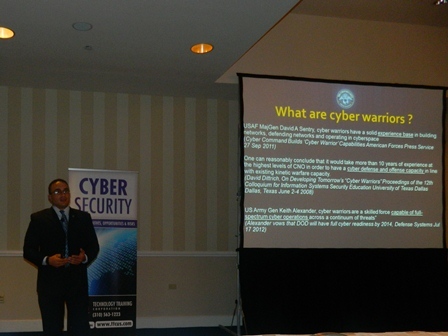 I truly enjoyed the event and as usual Mr. Bradford Barrett delivered a high quality cyber security event with great value! Mr. Anthony Guess-Johnson is a Subject Matter Expert in the Information Assurance (IA) group supporting the Chief Information Assurance Officer (CIAO). He assists in the development of information assurance strategies, policy and guidelines. He provides consultation in the development of processes to solve Information Assurance and Information Security issues. 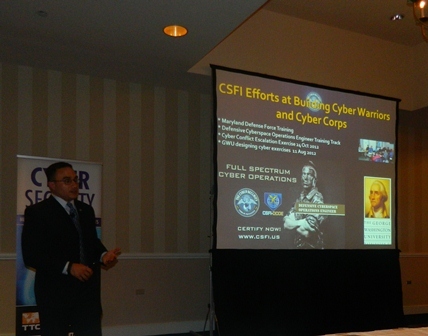 Represents CSFI at various DoD and Federal meetings and symposiums. 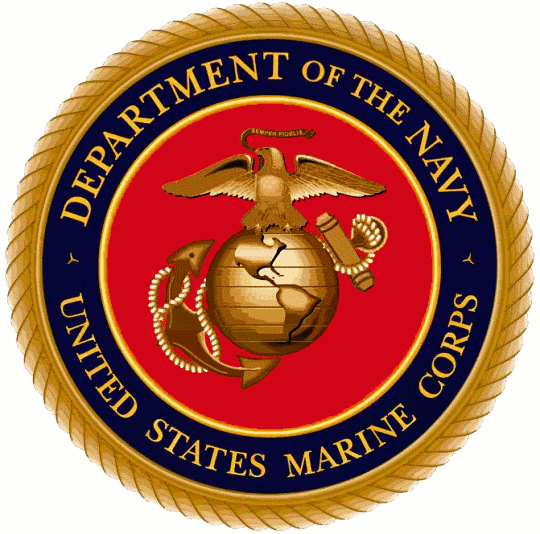 He has operational experience from currently serving fourteen years in the United States Marine Corps to include: two deployments to Iraq, two deployments to Afghanistan, one deployment to the Mediterranean Sea, and six tours in Okinawa Japan. 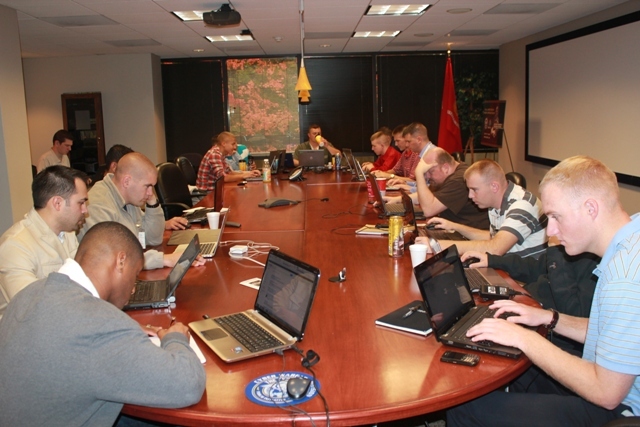 In his professional capacity he assists the USMC within training personnel and providing support to exercises He has presented to the George Washington University in his professional capacity stressing the challenges of cyberspace operations and the importance of collaboration among interested parties. Mr. Guess-Johnson also assists with the review of CSFI training curriculum, course structure, and the design of collaboration forums. The Cyber Security Forum Initiative (CSFI) is a non-profit organization headquartered in Omaha, NE and in Washington DC with a mission “to provide Cyber Warfare awareness, guidance, and security solutions through collaboration, education, volunteer work, and training to assist the US Government, US Military, Commercial Interests, and International Partners.” CSFI was born out of the collaboration of dozens of experts, and today CSFI is comprised of a large community of nearly 18000 Cyber Security and Cyber Warfare professionals from the government, military, private sector, and academia. Our amazing members are the core of all of our activities, and it is for them that we are pushing forward our mission.